Crowds of visitors descended upon the heritage town of Lismore, Co Waterford for The Immrama Festival of Travel Writing' last weekend (9-12 June). Literary enthusiasts from throughout Ireland and abroad congregated in the town since Thursday evening last (June 9) to enjoy a weekend of literary presentations, workshops, a bloggers clinic and poetry readings with international travel writers including Conor O'Clery, Rolf Potts, Alex von Tunzelmann, Sara Wheeler, Theo Doran, William Blacker and Jasper Winn. The four-day festival commenced on Thursday evening, June 9 with the launch of four new books by authors Paul Clements, Áine Uí Fhoghlú, Alan Murphy and David Monaghan in Lismore Castle Arts. Friday morning commenced with schools poetry workshops and on Friday evening Theo Dorgan took his audience on a literary sailing voyage, along with polar traveller, Sara Wheeler, who enthralled with her audience with tales of her vast explorations of the northern and southern hemispheres. Travel writer Pól Ó Conghaile ably and expertly chatted with Theo and Sara to provide a wonderful evening's entertainment. Commenting on the festival, County Manager Ray O'Dwyer said, "Once again the Immrama festival has been a huge success. Lismore Immrama is now a recognised brand worldwide in travel writing circles, with visitors from destinations such as Melbourne, Australia; Vancouver, Canada and Florida in the U.S having traveled to Lismore this week especially for the Festival. It is fantastic to know that County Waterford is making its mark on the world map in this way." Saturday morning's Bloggers' Clinic, which was a new event on the Immrama calendar, was a huge success and very well received. More than 50 people were treated to some wonderful presentations and discussion about this post modern method of travel writing from the King of Blogging Rolf Potts, travel writer Manchán Magan, couchsurfer Áine Goggins and blogger Darragh Doyle. This was followed by a lively questions and answers session which proved to be an insightful workshop on self publishing in the electronic era. On Saturday afternoon keynote speaker Conor O'Clery spoke movingly on his reporting from the world's conflict zones and the phenomenon of the 'conflict hotel.' He vividly described some of his experiences detailing the camaraderie of journalists working within countries in turmoil. On Saturday evening at the Blackwater Community School, Blogger, Author and Travel Writer Rolf Potts gave his insights into the whole travel writing genre, vividly brought to life by his own travel experiences and travel historian Alex von Tunzelmann enthralled her audience with details of the 'real' story behind the Cuban Missile Crisis and the fall of the British Empire in India. The Immrama Festival Committee are deeply indebted to traveler and author Jasper Winn, who stepped in at the last moment to give a wonderful 'Literary Breakfast' presentation on Sunday morning at Ballyrafter House Hotel. Due to unforeseen circumstances programmed author Anthony Sattin was unable to make it and Jasper kindly agreed to speak of his own travels and experiences in various countries around the world, including some fascinating tales of his kayaking trip around Ireland, which is detailed in his new book, "Paddle: A Long Way Around Ireland." The rain held off on Sunday afternoon to allow large crowds enjoy a lovely afternoon's free family fun entertainment in the Millennium Park, including wonderful music by Loudest Whisper and events including stilt-walking, face painting, dancing and a magician. The tempting food aromas courtesy of the Lismore Farmers Market drew many to the food producer stalls on Lismore Castle Avenue. The festival closed on Sunday evening with a wonderful literary presentation by acclaimed travel writer William Blacker. The theme of the 2011 festival was taken from William's book Along the Enchanted Way, which is an account of the years he spent in northern Romania, living a life that has hardly changed since the Middle Ages, having discovered the 200-odd Saxon villages of Transylvania, with their fortified churches that have not been touched since they were built between the 14th and 16th centuries. William captivated the large audience with his vivid descriptions of life in the rural mountains, superbly illustrated by a slide presentation of his photos from Romania. This is the ninth Immrama Festival of Travel Writers' and the Immrama Organising Committee would like to thank all of those who made this year's festival possible, particularly those who attended the various events throughout the weekend. At the end of a magnificent weekend of literary events, audiences were left wondering what the 2012 festival would have in store for them. If you missed it listen back to Conor O'Clerys interview with Pat Kenny on Pat's RTE Radio show ... Conor chats about conflict hotels and his appearance at Immrama on Saturday June 11th 20011. The countdown is on to the ninth Lismore Immrama Festival of Travel Writing as the town and festival organisers are looking forward to welcoming an extraordinary gathering of internationally renowned travel writers who will enthral audiences at venues throughout the town from today Thursday, June 9 to 12. The heritage town will be abuzz with talk of travel as the festival keynote speaker twice winning 'Journalist of the Year' and award winning author Conor O'Clery will present at 3pm on Saturday, June 11. During his time as Foreign Correspondent for the Irish Times from the Troubles in the north in the 1970's, to the Twin Towers attacks in 2001, Conor has observed and explained the key events of the last 40 years with his trademark humour and compassion. Blogger and award-winning author Rolf Potts will reveal some of his travel secrets including how to travel with no luggage! Rolf has reported from more than sixty countries for the likes of National Geographic Traveller, the New York Times Magazine and Conde Nast Traveler. Rolf will present alongside International travel writer and author Alex Von Tunzelman. Alex von Tunzelmann's latest book Red Heat was published in April to critical acclaim; it is a history of the Cold War in the Caribbean, focused around the Cuban Missile Crisis, the Castros and the Kennedys. This presentation will talk place at 8pm on Saturday, June 11. Sara Wheeler is not your stereotypical polar explorer and world traveller will host an audience with sailor and poet Theo Dorgan on Friday June 10 at 8pm. Writer and broadcaster Anthony Sattin has spent much of his life travelling in, and writing about, the Middle East and North Africa, He will talk of his travels and adventures at a Literary Breakfast in Ballyrafter House Hotel at 8.30am on the last day of the Lismore Immrama Festival, Sunday June 12. The main guest speaker events at this year's Immrama are just one element of a wider programme of events, with something for all ages and interests. Blogfest! A Bloggers Clinic with Rolf Potts, Manchán Magan, Aine Goggins and Darragh Doyle will celebrate and discuss blogging and social media and their impact on writing, and will offer budding writers and bloggers an opportunity to develop their writing along with their social media savvy. Festival goers young and old will have the opportunity to journey 'Along the Enchanted Way' with Travellers Past and Present' for the weekend. The wealth of local writing talent will be celebrated at the festival opening on Thursday, June 9, with author readings and the launch of new publications by writers Paul Clements, Áine Uí Fhoghlú , Alan Murphy and David Monagan at Lismore Castle Arts. The inaugural Dervla Murphy Teenage Travel Writing Award (in association with Waterford County Library Service), will be presented to the winner by Manchán Magan at 10am on Saturday morning in Lismore House Hotel. Saturday, June 11 sees The Molly Keane Writers Award take place at 2pm in Lismore Branch Library and on Sunday, June 12, at noon former County Librarian and Historian Donald Brady will host a free presentation at The Courthouse Theatre on William Deane-Tanner of Belleville Park, Cappoquin alias William Desmond Taylor: Hollywood Actor, Renowned Silent-Film Director and Murder Victim. Eamon Maxwell, of Lismore Castle Arts will give a talk at 2pm on Sunday June 12on the Artist as Traveller, exploring how visual artists use the journey in their work. Enjoy a Free Family Fun Sunday at the town's Millennium Park with Wobbly Circus and live music by Loudest Whisper- events include stilt-walking, face painting, music, dance and storytelling; or Canoe along the River Blackwater in the company of Jasper Winn, author of Paddle: A Long Way around Ireland. A Gregorian Mass will take place at St Carthage's Catholic Church, and a Farmers Market will commence at 10am at Lismore Castle Avenue. The Immrama Festival of Travel Writing will be held in Lismore from June 9 to 12, 2011 and is generously supported by Fáilte Ireland, Waterford County Council, Eason Dungarvan, Waterford Airport and the Arts Council. Tickets and further information can be found on www.lismoreimmrama.com or by contacting 058 53803. Murphy's first book, The Mona Lisa's On Our Fridge, was reviewed in the Irish Times as one of the best children's poetry books of 2009, described as "a breath of fresh air" by Seamus Cashman (editor of "Something Beginning With P") and "amazing" by the Munster Express. Psychosilly promises to be just as original, funny and intriguing. Books by Paul Clements, Áine Uí Fhoghlú and David Monagan will also be launched on the night. The uncrowned king of travel blogging Rolf Potts, Irish Times columnist, author and blogger Manchán Magan, Couchsurfer Aine Goggins and Darragh Doyle, Communications Manager of Ireland's most popular website, Boards.ie will host a 'Bloggers Clinic' at the Immrama Festival of Travel Writing in Lismore Co Waterford on June 11 at 10am. The Bloggers Clinic is a new addition to the festival programme for 2011; the Clinic will explore the opportunities offered by blogging to travel writers and writers of all genres. Participants will hear contributions from Rolf Potts from the USA on his very popular blog www.rolfpotts.com, Darragh Doyle of the very popular Irish website www.boards.ie and Ireland's premiere social networker, and Áine Goggins, presenter of Ó Tholg go Tolg, TG4's hit series featuring the escapades of two couchsurfing cailíní ghaelacha (www.couchsurfing.com). The clinic will commence at Lismore House Hotel at 10am and will include an introductory panel discussion followed by workshops and talks from the expert speakers. The event will wrap up with an Open Mic session hosted by Manchán Magan, so feel free to bring along your work to read and share. The session will include opportunities for group and one to one conversations with the panel, as well as guest appearances by other visiting writers at the festival. According to Immrama Artistic Director Margaret O'Sullivan, "Blogging is creative writing by another name. This event will familiarise writers with the possibilities of the blogosphere, an instant and very crowded publication outlet, as well as offering the chance to develop their writing under the guidance of two acclaimed published authors, Rolf Potts and Manchán Magan." The Bloggers Clinic is for writers who want to try their hand at blogging, for bloggers who want to improve their writing, for people who don't know what a tweet is, and for avid tweeps and early adaptors, you know who you are…this is the gathering for you. An extraordinary gathering of world-wide travel writers will be present in Lismore throughout the weekend, enthralling audiences with tales of their adventures. National and international writers on the programme include our own Conor O'Clery, former Irish Times Foreign Correspondent, and poet and broadcaster Theo Dorgan, as well as American vagabond Rolf Potts, Sara Wheeler, Alex von Tunzelmann, Anthony Sattin and William Blacker from the United Kingdom. Writing, travelling, canoeing on the River Blackwater, walking, history, music, food, family festival fun and art are all on the bill for the annual festival which takes place from June 9 to 12 in the heritage town of Lismore in County Waterford. Younger Festival goers will have the opportunity to compete for literary awards, participate in poetry workshops and to join in the traditional 'Free Family Fun Sunday' afternoon programme of events in the Millennium Park on Sunday June 12. A number of 'Fringe Events' will also take place throughout the weekend, including canoeing along the River Blackwater in the company of Jasper Winn, author of Paddle: A Long Way around Ireland, and a talk on The Artist as Traveller in Lismore Castle Arts on Sunday 12th. A Gregorian Mass will take place on Sunday morning at St Carthage's Catholic Church, and a Farmers Market will commence at 10am on Sunday June 12 at Lismore Castle Avenue. The Immrama Festival of Travel Writing will be held in Lismore from June 9 to 12, 2011 and is generously supported by Fáilte Ireland, Waterford County Council, Eason Dungarvan, Waterford Airport and the Arts Council. Tickets and further information can be found on www.lismoreimmrama.com or by contacting 058-53803. Having kayaked his way around the island of Ireland Jasper Winn will lead a trip on the River Blackwater before hosting an audience at the Immrama Festival of Travel Writing which will take place in the picturesque heritage town of Lismore from June 9 to 12. On Sunday June 12 At 1pm a 'Paddle-Talk' with Jasper Winn, will take place on the River Blackwater, departing from Lismore at Lady Louisa's Walk and finishing at Tourin Quay and Gardens with warming tea and scones and an illustrated talk on his travels. For landlubbers who don't fancy a paddle in a canoe, Jasper Winn's talk will commence at 4.30pm in the Tea House, Tourin House and the gardens will be open for viewing from 3.00pm. Jasper Winn grew up in West Cork, where he left school at age ten and educated himself by reading, riding horses, learning rural skills and playing music. It was an upbringing that has shaped a lifetime of travel and writing. He has journeyed across the Atlas with nomadic Berbers, canoed along the Danube, and often crosses countries on horseback. He was story consultant on the IMAX film, Ride Around the World, about the world's horse cultures. Paddle is his first book. Last summer, writer and musician, Jasper Winn set himself an extraordinary task. He would kayak the whole way round Ireland - a thousand miles - camping on remote headlands and islands, carousing in bars and paddling clockwise until he got back where he started. But in the worst Irish summer in living memory the pleasures of idling among seals, fulmars and fishing boats soon gave way to heroic struggles through storm-tossed seas ... and lock-ins playing music in coastal pubs. Circling the country where he grew up, Jasper reflects on life at the very fringes of Ireland, the nature and lore of its seas, and his own eccentric upbringing - sprung from school at age ten and left free to explore the countryside and its traditional life. Charming, quietly epic, and with an irresistible undertow of wit, Paddle is a low-tech adventure that captures the sheer joy of a misty morning on Ireland's coast. Jasper joins a host of international travel writers at festival in the heritage town of Lismore including national and international writers featured are our own Conor O'Clery and Theo Dorgan, as well as Rolf Potts from the USA and Sara Wheeler, Alex von Tunzelmann, Anthony Sattin and William Blacker from the United Kingdom. In a unique approach to creative writing, the festival offers two different opportunities for budding writers to explore their creativity. Writers with a desire to explore the potential for internet publication while refining their travel writing skills can avail of the Blogger's forum event with Rolf Potts and Manchán Magan with special guests Rolf Potts, Áine Goggins of the TG4 Couchsurfing programme "Ó Tholg go Tolg", and Darragh Doyle of the blog boards.ie on Saturday June 11 at 10am, tickets for thie three hour clinic are €25; book your place on 058 53803 . In 'Spirit of Place' join Grace Wells in a guided stroll to experience the beauty and history of Lismore followed by a writing workshop. Course facilitator Grace Wells has being mentoring writers for a number of years and is currently undertaking a writer's mentoring programme for Waterford County Council and Artlinks. A wealth of local writing talent will be celebrated at the festival opening on Thursday, June 9, with author readings and the launch of new publications by writers Paul Clements, Áine Uí Fhoghlú, Alan Murphy and David Monagan at Lismore Castle. For young festival goers a Free Family Fun Day in the Millennium Park will involve a host of entertainment from 2 to 5pm on Sunday, June 12, courtesy of Wobbly Circus and with live music by Loudest Whisper. Events include stilt-walking, face painting, music, dance and storytelling. Saturday, June 11 sees The Molly Keane Writers Award take place at 2pm in Lismore Branch Library and on Sunday, June 12, at noon former County Librarian and Historian Donald Brady will host a free presentation at The Courthouse Theatre. Eamon Maxwell, of Lismore Castle Arts will give a talk at 2pm on Sunday June 12 on the Artist as Traveller. Music lovers are in for a treat, when the Kidderminster Choir, conducted by Liam Brady, will perform at Lismore Cathedral at 8 pm on Saturday 11 June, in conjunction with the Dungarvan Brass Band. From Egypt to Romania and further afield Acclaimed authors Anthony Sattin and William Blacker visit the Immrama Festival of Travel Writing, Lismore. Critically acclaimed author and broadcaster Anthony Sattin and author William Blacker will open and close the literary menu on Sunday, June 12 at the ninth annual Immrama Lismore Festival of Travel Writing, which will take place in Co. Waterford from June 9 to 12. Writer and broadcaster Anthony Sattin has spent much of his life travelling in, and writing about, the Middle East and North Africa. His writing has appeared in many UK newspapers, including The Guardian, The Independent, and The Daily Telegraph, and he is on the editorial advisory board of the Geographical Magazine. He will talk of his travels and adventures at a Literary Breakfast in Ballyrafter House Hotel at 8.30am on the last day of the Lismore Immrama Festival, Sunday June 12. Sattin's books include the highly-acclaimed The Pharaoh's Shadow (2001), an account of his search for surviving ancient culture in Egypt and The Gates of Africa (2004), the story of the 18th century search for Timbuktu. His recently published book Winter on the Nile (2010) is based on the travels of Florence Nightingale and Gustave Flaubert in Egypt in 1849-50, following Sattin's discovery of Florence Nightingale's previously unpublished letters from Egypt. Both Nightingale and Flaubert arrived in Egypt in their late twenties, yet to embark on their respective careers. Flaubert began Madame Bovary on his return to France; Florence travelled to Scutari for the Crimean War a few years later and became famous as the founder of modern nursing. Anthony Sattin has been a long-time regular contributor to the Sunday Times travel and book review pages and to the UK's leading travel magazine, Conde Nast Traveller. He has also contributed to several guidebook series, including the Lonely Planet volumes on Egypt and Algeria.Giles Foden, writing in the Conde Nast Traveller magazine, has called Anthony Sattin one of the "ten key influences in modern travel writing." Author of the title which inspired the 2011 Immrama Festival theme 'Along The Enchanted Way', William Blacker will close the 2011 festival on Sunday, June 12 at 7pm at Lismore House Hotel, where he will explore the festival theme 'Along the Enchanted Way… Travellers Past and Present'. Along the Enchanted Way is an account of the years Blacker spent in northern Romania, living a life that has hardly changed since the Middle Ages, having discovered the 200-odd Saxon villages of Transylvania, with their fortified churches that have not been touched since they were built between the 14th and 16th centuries. There, for many years he lived, side by side with the country people, a life ruled by the slow cycle of the seasons, far away from the frantic rush of the modern world. Patrick Leigh Fermor of The Sunday Telegraph says of the critically acclaimed 'Along the Enchanted Way', "This is a wild and captivating story.... William Blacker has written a book close to my heart." Also joining Anthony Sattin and William Blacker on this year's Immrama programme are international and award winning authors Conor O'Clery, Rolf Potts and Alex Von Tunzelmann. Theo Dorgan and Sara Wheeler also feature on the diverse programme. The 2011 festival also sees a brand new addition to the programme, a 'Blogger's Forum', facilitated by Manchán Magan, with special guests Rolf Potts, Áine Goggins of the TG4 Couchsurfing programme "Ó Tholg go Tolg", and Darragh Doyle of boards.ie. A variety of fringe events will also take place over the weekend, including an International visual arts exhibition at Lismore Castle Arts, exhibition and events at Lismore Library, the launch of seven new Travel books, creative writing workshops, book readings and much more. Sara Wheeler is not your stereotypical polar explorer and world traveller. The glamorous mother of two, who has spent a career of some twenty five years as traveller, journalist and broadcaster, will host an audience at The Courthouse Theatre in Lismore, Co Waterford on Friday June 10, at the ninth annual Immrama Lismore Festival of Travel Writing, which will take place from June 9 to 12. Sara Wheeler's travels in the Arctic and Antarctic focus, not on her own personal endurances, but on the lives of the people and the landscapes contained within those two remote regions. As The Independent put it, Sara presents the Arctic 'as a home, not a playground. .... Wheeler's interest lies in the communities which make their lives there.' She writes vividly of the people, of spending the night in Captain Scott's hut, or reliving the adventures of Shackleton and Nansen. Worried that having her children would end her roaming, she took her two boys with her to the Arctic, when one was just an un-weaned baby. Ever the adventurer, Sara's many talents include learning to belly-dance, to strip, and to walk on the wing of a biplane at 3000 feet. In a series of remarkable books - Travels in a Thin Country, Terra Incognita, Cherry: A Life of Apsley Cherry-Garrard, Too Close to the Sun and The Magnetic North - Sara Wheeler has shown that she is not only one of the finest travel writers of her generation but a very fine biographer too. Her most recent book, 'Access all Areas' was published to coincide with her fiftieth birthday. It gathers together a selection of her shorter pieces, both journalism and introductions to other books. The Indpendent described it as 'One of the greatest travel books of our times - poignant, funny, a delight to read'. At Immrama, Sara will offer her audience an insight into the early journeys and literary heroes that have influenced and inspired this intrepid and talented writer. Indeed, one of her heroes, Jan Morris, was a guest of the 2010 Immrama Festival. Sara Wheeler will feature alongside the talented Theo Dorgan. Poet, prose-writer, editor and translator, he has also written scripts for film documentaries and worked as a presenter of literature programmes on radio and television for over 25 years. In addition to his literary and broadcasting credentials, he is also an accomplished sailor. In 2001, in a book entitled Sailing For Home, Theo recounted his sea voyage from Antigua to Kinsale. Another book, Time on the Ocean is an inspired description of how Dorgan, in 2006, flew to southern Chile and joined the crew of Pelagic Australis, a 70-foot single mast yacht, for the voyage to Cape Town. Dorgan's great-grandmother died in childbirth off Cape Horn and was buried at sea, so the adventure had special significance for him. A former Director of Poetry Ireland/Éigse Éireann, Theo has worked extensively as a broadcaster of literary programmes on both radio and television. His Jason and The Argonauts, to music by Howard Goodall, was commissioned by, and premiered in the Royal Albert Hall in 2004. He was the scriptwriter for the acclaimed TV documentary series Hidden Treasures, and a series of texts commissioned from him features in the dance musical Riverdance. His songs have been recorded by a number of musicians, including Alan Stivell, Jimmy Crowley and Cormac Breathnach. He was presenter of Poetry Now on RTÉ Radio 1, and later presented RTÉ's TV books programme, Imprint. Among his many awards are the Listowel Prize for Poetry, 1992 and the O'Shaughnessy Prize for Irish Poetry 2010. Sara Wheeler and Theo Dorgan will be in conversation with travel writer Pól Ó Conghaile, who writes for the Irish Independent, Cara magazine and is a regular contributor RTÉ Radio 1's Pat Kenny Show and Today FM's The Last Word. Also joining Sara Wheeler and Theo Dorgan on this year's Immrama programme are international and award winning authors Conor O'Clery, Rolf Potts and Alex von Tunzelmann. Acclaimed travel writers Anthony Sattin and William Blacker also feature on the diverse programme. A variety of fringe events will also take place over the weekend, including an International visual arts exhibition at Lismore Castle Arts, exhibition and events at Lismore Library, the launch of a number of new books, creative writing workshops, book readings and much more. 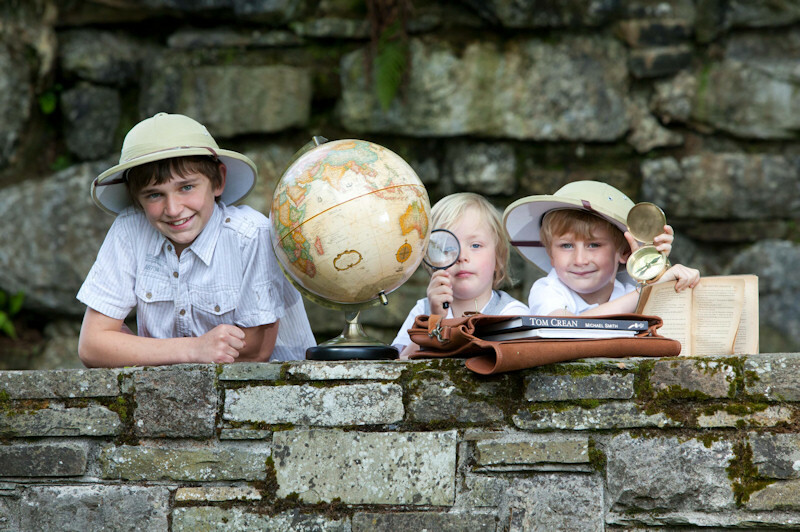 Lismore, County Waterford will be the place to be for Family Festival Fun in early June, as an action-packed family fun programme of events was announced today (Monday, May 16) for this year's Immrama Festival of Travel Writing, which takes place in Lismore from June 9 to 12. An extraordinary gathering of world-wide travel writers will be present in Lismore throughout the weekend, enthralling audiences with tales of their travels and adventures including Ireland's finest writers Conor O'Clery and Theo Dorgan, as well as Rolf Potts from the USA and Sara Wheeler, Alex von Tunzelmann, Anthony Sattin and William Blacker from the United Kingdom. The main guest speaker events at this year's Immrama are just one element of a wider programme of events, with something for all ages and interests; whether it's writing, travelling, kayaking, walking, history, music, food or art - there's something there for everyone. Bernard Leddy, Chairman of the Immrama Organising Committee, is delighted with the variety and depth of this year's festival programme, "We are thrilled with the wide range of quality events we have in this year's Immrama programme. We believe that there is something for everyone and we look forward to welcoming people from near and far to Lismore to celebrate this wonderful event with us." Festival goers young and old will have the opportunity to journey 'Along the Enchanted Way' with Travellers Past and Present' for the weekend. 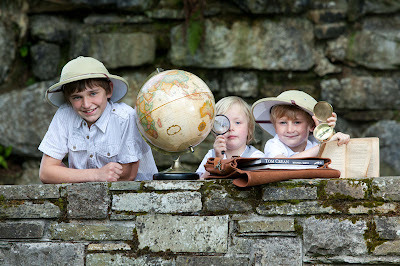 In addition to the adults having the opportunity to listen to fascinating tales from some of the most famous travel writers in the world, younger Festival goers will have the opportunity to compete for literary awards, participate in poetry workshops and to join in the traditional 'Free Family Fun Sunday' afternoon programme. Free Family Fun Sunday involves a host of entertainment from 2pm courtesy of the Wobbly Circus and with live music by Loudest Whisper; events include stilt-walking, face painting, music, dance and storytelling all in the Millennium Park in the picturesque heritage town of Lismore. A wealth of local writing talent will be celebrated at the festival opening on Thursday, June 9, with author readings and the launch of new publications by writers Paul Clements, Áine Uí Fhoghlú, Alan Murphy and David Monagan at Lismore Castle. On Friday, June 10 the inaugural Dervla Murphy Teenage Travel Writing Award will be presented at Lismore Library, in association with Waterford County Library Service. In a unique approach to creative writing, the festival offers two different opportunities for budding writers to explore their creativity. Grace Wells will host a guided stroll to experience the beauty and history of Lismore followed by a writing workshop. Grace has being mentoring writers for a number of years and is currently undertaking a writer's mentoring programme for Waterford County Council and Artlinks. Writers with a desire to explore the potential for internet publication while refining their travel writing skills can avail of the Blogger's forum event with Rolf Potts and Manchán Magan on Saturday June 11. Also on Saturday, June 11 The Molly Keane Writers Award take place at Lismore Library and on Sunday, June 12, at noon former County Librarian and Historian Donald Brady will host a free presentation at The Courthouse Theatre on William Deane-Tanner of Belleville Park, Cappoquin alias William Desmond Taylor: Hollywood Actor, Renowned Silent-Film Director and Murder Victim. Music lovers are in for a treat, when the Kidderminster Choir, conducted by Liam Brady, will perform at Lismore Cathedral on Saturday evening, in conjunction with the Dungarvan Brass Band. On Sunday, June 12 Eamon Maxwell of Lismore Castle Arts will a host a presentation on the 'Artist as Traveller', exploring how visual artists use the journey in their work. A number of 'Fringe Events' will also take place throughout the weekend, including kayaking along the River Blackwater with Blackwater Boating in the company of Jasper Winn, author of Paddle: A Long Way around Ireland, on Sunday June 12, launching at Lady Louisa's Walk in Lismore and finishing at Tourin House and Gardens with a talk on his travels. For landlubbers who don't fancy a paddle in a canoe, Jasper Winn's talk will commence at 4.30pm in the Tea House, Tourin House. A Gregorian Mass will take place on Sunday morning at St Carthage's Catholic Church, and a Farmers Market will take place on Sunday morning at Lismore Castle Avenue. Twice winning 'Journalist of the Year' and award winning author Conor O'Clery will give a keynote presentation at the ninth annual Immrama Lismore Festival of Travel Writing, which will take place in Co. Waterford from June 9 to 12. 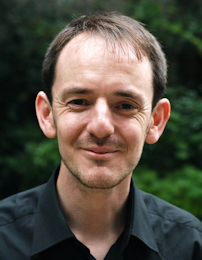 Conor O'Clery is a reporter, traveller, author and broadcaster. However, its as the former backbone of the Irish Times foreign desk that O'Clery is best known; working there for over 30 years in various positions, including staff correspondent based in London, Moscow, Washington, D.C., Beijing and New York City. He wrote for The New Republic from Moscow, contributed columns to Newsweek International, has been a frequent commentator on BBC, NPR and CNN and has won several journalistic awards. From the Troubles in the north in the 1970's, to the Twin Towers attacks in 2001, Conor has observed and explained the key events of the last 40 years with his trademark humour and compassion. His gift for insightful, uncomplicated story-telling led to him being crowned his country's Journalist of the Year - twice; first in 1987 for his reporting from the Soviet Union and secondly in 2002 for his reporting of the 9/11 attacks on the World Trade Center in New York. O'Clery was in his office just three blocks away from the Twin Towers when they were targeted and he delivered powerfully poignant coverage of the atrocity. He has also witnessed acute devastation elsewhere, including the murder of children in South Africa and East Timor. O'Clery was right on hand to record the collapse of the Soviet Union, Washington's championing of the Irish peace process and the rise of China as a world economic force. He has written a small shelfful of books about his experiences, including a memoir of his world reporting 'May You Live in Interesting Times'; and his latest book, Moscow, December 25, 1991/ The Last Day of the Soviet Union, a minute by minute account of the very last day of the Soviet Union. According to Conor "The KGB tried to get to me through my wife Zhanna, who was an Armenian living in the then Soviet Union. They tried to intimidate her into recruiting me. It went on for months. But she turned them down flat. Very brave of her. And in the end, they didn't follow through with their threats to stop her getting her doctorate." He is currently working as Ireland correspondent with GlobalPost and he will feature as a keynote speaker at the Immrama Festival of Travel Writing in Lismore on June 11 at 3pm exploring this year's theme through his travels and reporting 'Along the Enchanted Way…Travellers Past and Present'. Joining Conor O'Clery are international and award winning authors Rolf Potts and Alex Von Tunzelmann, Anthony Sattin, William Blacker, Theo Dorgan and Sara Wheeler who also feature on the diverse programme at the Immrama Lismore Festival of Travel Writing from June 9 to 12. The 2011 festival also sees a brand new addition to the programme, a 'Blogger's Forum' facilitated by Manchán Magan with special guests Rolf Potts, Áine Goggins of the TG4 Couchsurfing programme "Ó Tholg go Tolg", and Darragh Doyle of boards.ie. A variety of fringe events will also take place over the weekend, including an International visual arts exhibition at Lismore Castle Arts, exhibition and events at Lismore Library, a kayaking event with Jasper Winn (author of Paddle - A Long Way Around Ireland) with Blackwater Boats, Festival Bookshop hosted by Eason Dungarvan, creative writing workshops, book readings and more. The Immrama Festival of Travel Writing will be held in Lismore from June 9 to 12, 2011 and is generously supported by Failte Ireland, Waterford County Council, Eason Dungarvan and Waterford Airport, the Arts Council. Tickets and further information can be found on www.lismoreimmrama.com or by contacting 058-53803. Famous Travel Writers Rolf Potts and Alex Von Tunzelmann feature on the programme for the ninth annual Immrama Lismore Festival of Travel Writers which take place in Co. Waterford from June 9 to 12. The theme 'Along the Enchanted Way…Travellers Past and Present' will be explored by both writers in their presentations at 8pm on Saturday June 11. Blogger and award-winning author Rolf Potts will reveal some of his travel secrets including how to travel with no luggage! Rolf has reported from more than sixty countries for the likes of National Geographic Traveler, the New York Times Magazine and Conde Nast Traveler. A veteran travel columnist, his adventures have taken him across six continents, and include piloting a fishing boat 900 miles down the Laotian Mekong, hitchhiking across Eastern Europe, traversing Israel on foot and cycling across Burma. Potts is perhaps best known for promoting the ethic of independent travel, and his book on the subject, Vagabonding: An Uncommon Guide to the Art of Long-Term World Travel (Random House, 2003), has been through twelve printings and translated into several foreign languages. His newest book, Marco Polo Didn't Go There: Stories and Revelations From One Decade as a Postmodern Travel Writer (Travelers' Tales, 2008), won a 2009 Lowell Thomas Award from the Society of American Travel Writers, and became the first American-authored book to win Italy's prestigious Chatwin Prize for travel writing. The San Francisco Chronicle describes Potts as "one of the best travel writers to emerge in the last decade. Intrepid and thoughtful, he's a Paul Theroux for the backpacker generation." Also featuring at the festival on Saturday June 11 is international travel writer and author Alex Von Tunzelman. Alex von Tunzelmann's latest book Red Heat was published in earlier this month to critical acclaim. It is a history of the Cold War in the Caribbean, focused around the Cuban Missile Crisis, the Castros and the Kennedys. Her first book, Indian Summer, was published in 2007. William Dalrymple called it "Unquestionably the best book I have ever read on the independence and partition of India and Pakistan, and pretty close to a flat-out masterpiece." It is in development as a feature film by Working Title Productions. Alex writes regular travel pieces for Lonely Planet Magazine, where her assignments have ranged from a quest for a crystal skull in Belize to following the dogsled tracks of early explorers in the high Arctic. She has a weekly column for The Guardian Online about the real story behind historical movies. International and award winning authors Conor O'Clery, Anthony Sattin, William Blacker, Theo Dorgan and Sara Wheeler also feature on the broad programme at the Immrama Lismore Festival of Travel Writing 2011 from June 9 to 12. A brand new addition to the programme is a 'Blogger's Forum' facilitated by Manchán Magan with special guests Rolf Potts, Áine Goggins of the TG4 Couchsurfing programme "Ó Tholg go Tolg", and Darragh Doyle of boards.ie. In addition to the literary presentations the 2011 festival programme is packed with a variety of fringe events, including an International visual arts exhibition at Lismore Castle Arts, exhibition and events at Lismore Library, a kayaking event with Jasper Winn (author of Paddle - A Long Way Around Ireland) with Blackwater Boats, Festival Bookshop hosted by Eason Dungarvan, creative writing workshops, book readings and more. The Immrama Festival of Travel Writing will be held in Lismore from June 9 to 12, 2011 and is generously supported by Failte Ireland, Waterford County Council, Eason Dungarvan and Waterford Airport, the Arts Council. Tickets and further information can be found on www.lismoreimmrama.com or by contacting 058 53803. The Immrama Festival of Travel Writing, Lismore, 2011, in association with Waterford County Library Service, is delighted to announce the launch of the inaugural year of the Dervla Murphy Award for Teenage Travel Writing. Lismore native Dervla Murphy received a second-hand bicycle when she was aged 10; a week later she decided that she would cycle to India once she became an adult - so she did! Dervla Murphy's first book, 'Full Tilt: From Ireland to India with a Bicycle', was published in 1965. Over twenty other titles have followed, including an account of travels in Northern Ireland during the 1970s, a volume against nuclear power, a consideration of race relations in England during the 1980s and a highly-acclaimed autobiography, 'Wheels Within Wheels'. Dervla has won worldwide praise for her writing and many awards, including the Christopher Ewart-Biggs Memorial Prize. The award will be sponsored annually by Waterford County Library Service and the winning piece will be published online on the Library Service Website. County Librarian, Jean Webster says that "We hope that this prestigious award will help launch the writing careers of talented young writers from Waterford City and County. We are honoured that Dervla Murphy has agreed to lend her name to the award and we are very excited that the award will be presented as part of the Immrama Festival of Travel Writing." The teenage writers taking part in this inaugural award as part of this year's Immrama Festival will be in excellent company, as the extraordinary programme of literary events this year includes audiences with top international travel writers Anthony Sattin and William Blacker, Conor O'Clery, Rolf Potts and Alex Von Tunzelmann. Theo Dorgan and Sara Wheeler also feature on the diverse programme at the Immrama Lismore Festival of Travel Writing 2011, which takes place from June 9 to 12. The 2011 festival also sees a brand new addition to the programme, a 'Blogger's Forum' facilitated by Manchán Magan, with special guests Rolf Potts, Áine Goggins of the TG4 Couchsurfing programme "Ó Tholg go Tolg", and Darragh Doyle of boards.ie. 2011 is the inaugural year of the Dervla Murphy Award for Teenage Travel Writing. This award will be sponsored annually by Waterford County Council Library Service and will be presented as part of the Immrama Festival Travel Writing Festival in Lismore. The winning piece will be published online on the Library Service Website. Competition for the award is confined to Teenagers in Waterford City and County and is open to writers from 13-18. Only works which have not previously been printed or published are eligible for the competition. The piece must not exceed 500 words in length and a typed copy is preferable but not essential. The piece must be accompanied by a completed entry form which can be downloaded from the Library Website www.waterfordcountylibrary.ie or can be picked up from your local library. Entry is Free. The Closing Date for receipt of Completed Forms is Friday 27th May 2011. A fine literary programme for the ninth annual Immrama Lismore Festival of Travel Writers was launched at Lismore Castle on Tuesday, April 19. Award-winning travel writers including Conor O'Clery, Rolf Potts, Alex Von Tunzelmann, Anthony Sattin, William Blacker, Theo Dorgan, Sara Wheeler and more have been lined up to speak at the Immrama Festival in Lismore, Co Waterford from June 9 to 12. 'Along the Enchanted Way...Travellers Past and Present' is the theme of Immrama 2011 and this festival will explore travellers and writing through the ages up to the 21st century. Keynote presentations will be given by award winning writer Conor O'Clery at 3pm on Saturday, June 11, and Rolf Potts and Alex Von Tunzelmann at 8pm on Saturday June 11. Other main presentations include Sara Wheeler in conversation with Pól Ó Conghaile, poet and sailor Theo Dorgan, and a closing presentation from William Blacker, whose publication 'Along the Enchanted Way' was praised by no less than Patrick Leigh Fermor upon publication in 2009. The annual literary breakfast, at 8.30am on Sunday June 12, will be hosted by Egyptologist and acclaimed author Anthony Sattin. The Saturday June 11 3pm keynote presentation will see author and former Irish Times journalist Conor O'Clery speak about his experiences as a foreign correspondent. Conor's newest book is Moscow, December 25, 1991/The Last Day of the Soviet Union. The writer worked for over 30 years in various positions with the Irish Times, including stints as a staff correspondent based in London, Moscow, Washington DC, Beijing and New York City. Conor has won several awards, including "Journalist of the Year" twice - first for his reporting from the Soviet Union, and, later, for his reporting of the September 11, 2001 attacks on the World Trade Center, which he witnessed from his office three blocks away. Later on June 11, the Saturday evening session will feature Rolf Potts and Alex Von Tunzelmann. Rolf Potts has reported from more than sixty countries for the likes of National Geographic Traveler, the New York Times Magazine and Conde Nast Traveler. A veteran travel columnist, his adventures have taken him across six continents, and include piloting a fishing boat 900 miles down the Laotian Mekong, hitchhiking across Eastern Europe, traversing Israel on foot and cycling across Burma. The San Francisco Chronicle describes Potts as "one of the best travel writers to emerge in the last decade. Intrepid and thoughtful, he's a Paul Theroux for the backpacker generation." International travel writer and author Alex Von Tunzelman writes an online weekly film column, Reel History, for The Guardian and writes travel pieces for Lonely Planet magazine and contributes to Daily Beast. Her first book 'Indian Summer: The Secret History of the End of an Empire' was published worldwide in summer 2007 to coincide with the 60th anniversary of independence from Britain in India, Pakistan and Bangladesh. Her widely anticipated second book, Red Heat, has just been published to critical acclaim, and she has written for Sunday Times magazine; New York Times; Los Angeles Times; Daily Telegraph and Conde Nast Traveler. Early-risers on Sunday, June 12 can enjoy a literary breakfast with Anthony Sattin, journalist, broadcaster and author. On that evening, the festival will draw to a close with a presentation by writer and adventurer William Blacker. Launching the 2011 programme at a function held in the Pugin Room at Lismore Castle, Ray O'Dwyer, Co Manager, said: "It is my great pleasure to launch the ninth programme for the Lismore Immrama Festival of Travel Writing. The organisers have again excelled in bringing together a programme featuring a variety of Irish and international travel writers. The festival which dovetails perfectly with Lismore has grown steadily over the last nine years and is truly unique in its focus on travel writing and literature, attracts a wide audience from the region and further afield. Guest speakers get the opportunity to enjoy the informal charm of Lismore and absorb its unrivalled historic character." A brand new addition to the programme is a 'Blogger's Forum' facilitated by Manchán Magan with special guests Rolf Potts, Áine Goggins of the TG4 Couchsurfing programme CÓ Tholg go Tolg", and Darragh Doyle of boards.ie. The phenomenon of a little town in County Waterford that manages to attract the world's greatest travel writers made quite an impression on international Travel Writer and contributor to National Geographic Michael Shapiro last year. Michael's awe of the festival was captured in conversation with Arthur and Pauline Frommer, publishers of Frommer's Travel Guides, the world's largest selling series of travel guides and hosts of The Travel Show on WOR, a major New York radio station. Commenting on the New York radio show Michael Shapiro said, "The town of Lismore attracts some of the best travel writers in the world, it is a four day celebration of travel writing and it's a festival that loves books." The Immrama Festival of Travel Writing will be held in Lismore from June 9 to 12, 2011 and is generously supported by Failte Ireland, Waterford County Council, Eason Dungarvan and Waterford Airport, the Arts Council. Tickets and further information can be found on www.lismoreimmrama.com or by contacting 058 54975. Michael Shapiro attended the Immrama Festival in 2010. In an article for Perceptive Travel he catches up with the interview of Dervla Murphy he missed long ago and rubs shoulders with writers and local characters. In an interview with with Arthur and Pauline Frommer, publishers of Frommer's Travel Guides, Michael Shapiro describes his visit to the Immrama Festival of Travel Writing, Lismore in June 2010.
and Guatemala: A Journey Through the Land of the Maya. Arthur Frommer (born 1929) is a travel writer, publisher and consumer advocate, and the founder of the Frommer's series of travel guides and Arthur Frommer's Budget Travel magazine. He has published many books for budget-conscious travelers and has been one of America's foremost budget travel authorities since the 1950s. Frommer's seminal book, Europe on 5 Dollars a Day, changed the way Americans traveled, and foreshadowed such later budget-conscious guidebooks as Lonely Planet and Rick Steves.